The 3-day competition has attracted 22 baristas. They are required to make 3 different types of coffee within 15 minutes in accordance with the rules of the World Barista Championship, then 7 judges would taste and score their efforts. 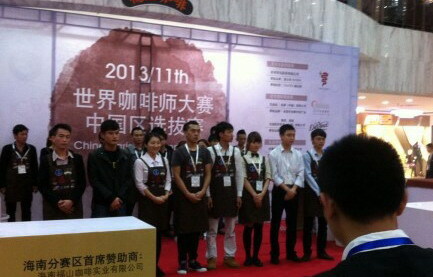 Female barista Guo Xiaoyu got the first place, with runner-up and second runner-up went to Zheng Jing and Ji Changxun. The winner and runner-up would take part in the national competition final representing Hainan.